Zari Hassan has become the envy of every woman. Her new lover, who she refers to as King bae is treating her like a queen. The romantic man has been showering her with gifts and sending her flowers every morning. Zari, is smitten with love and she has confessed that she’s indeed happy. 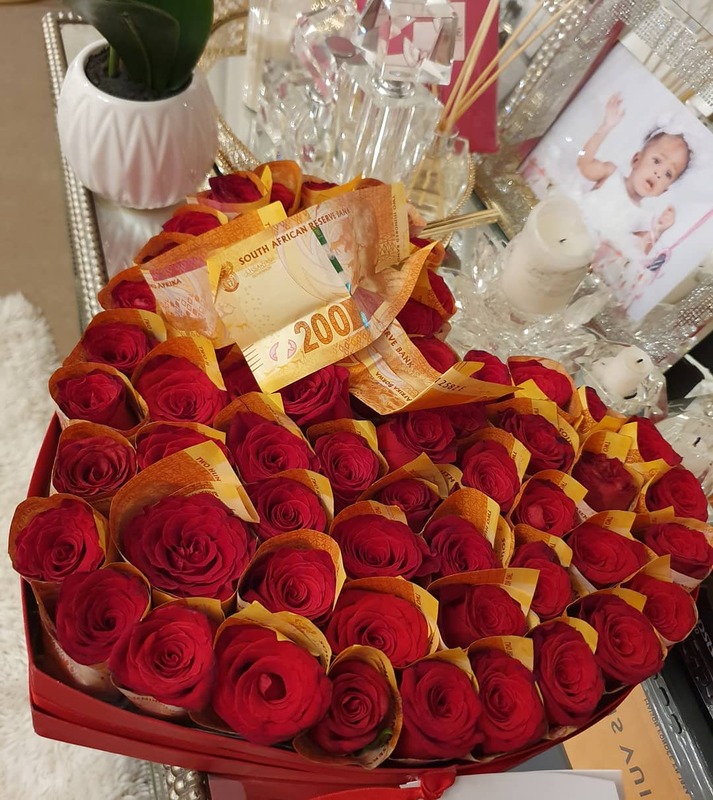 The mysterious man sent the mother of five a bouquet of red roses wrapped with 200 notes of South African Rands. The roses are roughly 65 and a total amount of notes wrapped around each flower is Sh100,000. What did I do to deserve all this? My heart is so thankful & full my Love. naemnaadir The guy is so romantic enjoy zari u deserve better. Nalumu Dianah Kiguli Thank you for loving our Zarinah Tale watuwonya akakodomi kekasiwufu kekenzi we face book inlaws we are happy. Teddy Kevin Who else is confused counting the rand? araine Mama dear,God knows how to wipe tears, don’t you ever forget that. zainahn You deserve every thing Mama..
Just rcently, Zari shared a message thanking Diamond for cheating on her because life wouldn’t be better if he didn’t.